Your thyroid is serious business. A gland located in the neck, the thyroid is responsible for maintaining a range of bodily functions, from growth and metabolism to energy levels and hormone production. It also plays a key role in the normal functioning of bones and almost every organ in the body. Therefore, good thyroid health is key to your overall wellness and longevity. As with most health conditions, exercise helps. If you want a more functional thyroid, shoot for a half hour of aerobic – steady-state – exercise a day. Good options include walking, running, hiking or biking. You may have heard that raw cruciferous veggies are bad for thyroids, but this isn’t actually true. Cruciferous vegetables are an excellent way to support thyroid function. 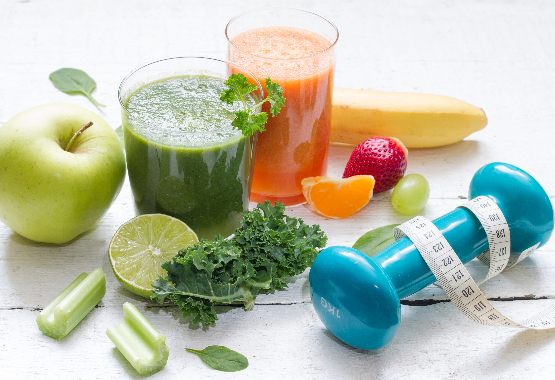 These vegetables – which include broccoli, cauliflower, cabbage, collard greens, Brussels sprouts, bok choy, kale radish, kohlrabi and more – are excellent for your overall health, but are especially good at preventing cancer. Since thyroid cancer is a very real danger, and would certainly disrupt normal bodily functions, getting a healthy dose of cruciferous veggies should definitely be on your daily agenda. Iodine is a crucial component of thyroid hormones, and if you do not have enough of it, you will not have enough of them. This means you can potentially produce much lower levels of hormones than you need to effectively regulate your energy levels and metabolism. 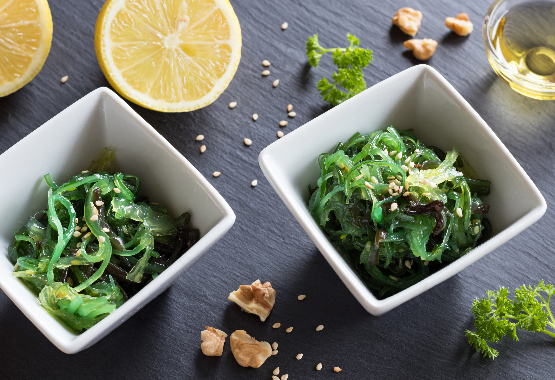 Luckily, sea vegetables have high levels of iodine, and can help you produce the hormones you need to stay at a healthy weight and feel energized. Vitamin A helps regulate thyroid function, and with it your hormones, energy levels and metabolism, as well as your body’s ability to regulate weight. If you want a healthier thyroid, get more A by drinking tomato juice or consuming sweet potatoes, both of which contain high natural levels. Gluten gets a bad rap, but that’s for a good reason. It’s a difficult protein to break down, and doesn’t play well with the thyroid, possibly even causing autoimmune thyroid diseases. Essentially, a component of gluten, gliadin, simulates thyroid tissue. When the body senses the imposter in your bloodstream, it will attack it, and subsequently your thyroid itself. That’s no good. 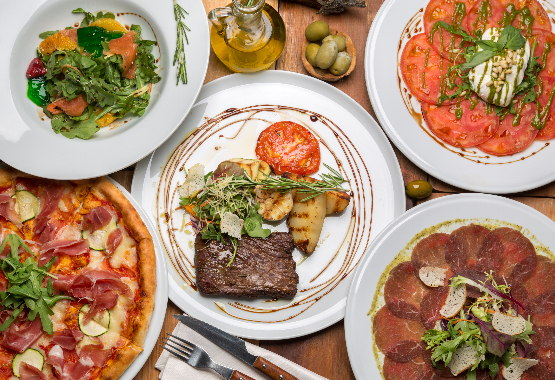 If you have hypothyroidism or a thyroid autoimmune disease – or simply want to be careful – you should avoid gluten entirely. You can buy chlorophyll in liquid form, and while you might associate this with trees and flowers, it is actually a very beneficial nutrient for humans. 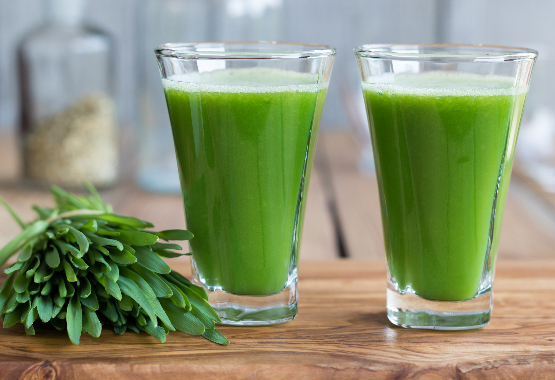 It helps remove heavy metals from your bodily systems, and since these can get in the way of normal thyroid functioning, a shot a day is a great strategy. “These are the richest dietary source of selenium, which is essential in converting thyroxine to its active form, T3,” explains MindBodyGreen. “You need selenium for glutathione production to help decrease thyroid antibodies,” they continue, referring to a common autoimmune disease in which antibodies attack the thyroid. 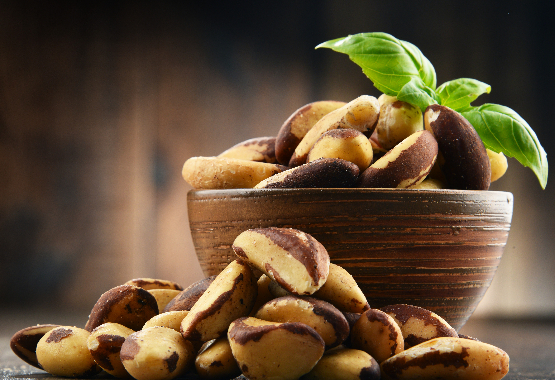 You can increase function and protect your thyroid from this condition with just three Brazil nuts a day, so do it. This common food product is used to make a variety of fake meat and dairy products. It can be found in soy cheeses and yogurts, as well as veggie meats, and while it frequently masquerades as a healthy choice, it can mess with and throw off your thyroid function. We’re guessing you agree that anything leading to weight gain and hormone dysregulation is a no-no, so avoid it where possible. One of the common problems with thyroids is that they regulate metabolism, and therefore are very susceptible to dieting. When people are trying to lose weight, and therefore are restricting calories, the thyroid responds by trying to hang onto those calories. You can disrupt this function by eating a cheat meal, in which you consume as many calories as you like, telling the thyroid it’s okay to begin functioning normally again. You can also take a supplement to support your thyroid health. 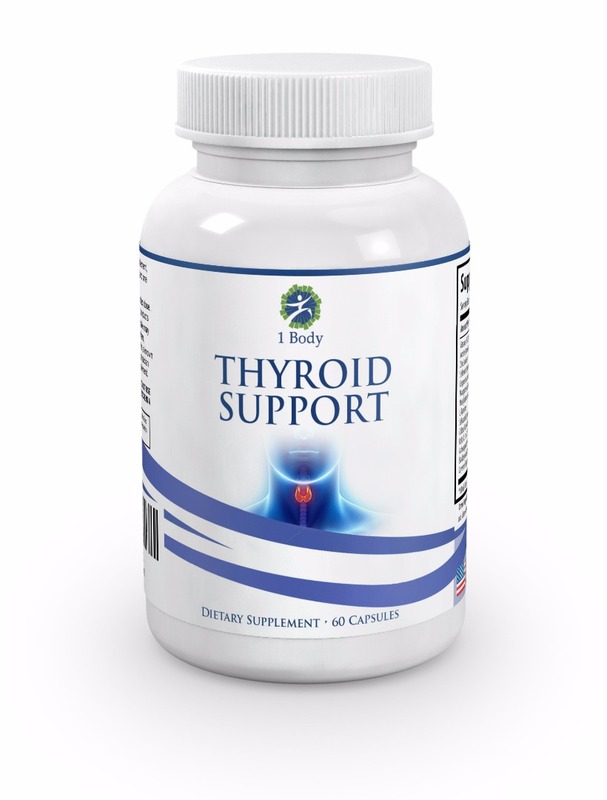 Thyroid Support, for instance, not only boosts your thyroid function, but supports the immune system, enhances mood, and helps to regulate weight. It uses methylcobalamin as the form of B-12, a better choice than synthetic cyanocobalamin. It also uses a vegetarian capsule and does not use magnesium stearate, a common additive that makes the manufacturing process easier but is not good for your health. Supports weight management when used with a proper diet.